First off, Bethany is a birthing goddess. 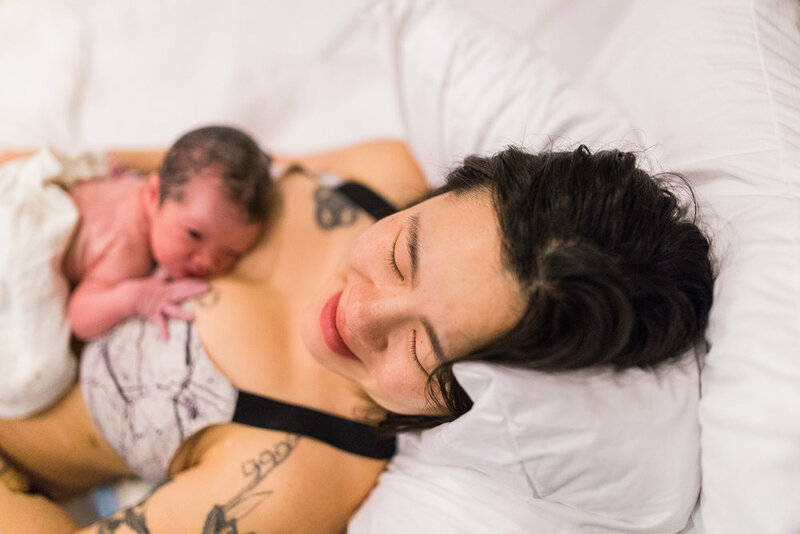 Bethany birthed her fist baby at home, second baby in the hospital and Zadie was delivered in the Hygge birth center in Denver. It was a beautiful, snowy, Saturday morning when I got a text from Bethany saying, “This might be it.” She said there wasn’t any rush so I took the opportunity to go out to breakfast with Drew and the boys. Right as we were ordering, I got a text that she was headed to the birth center within the hour. Ha! Our lovely waitress rushed our food and we were in and out in no time. 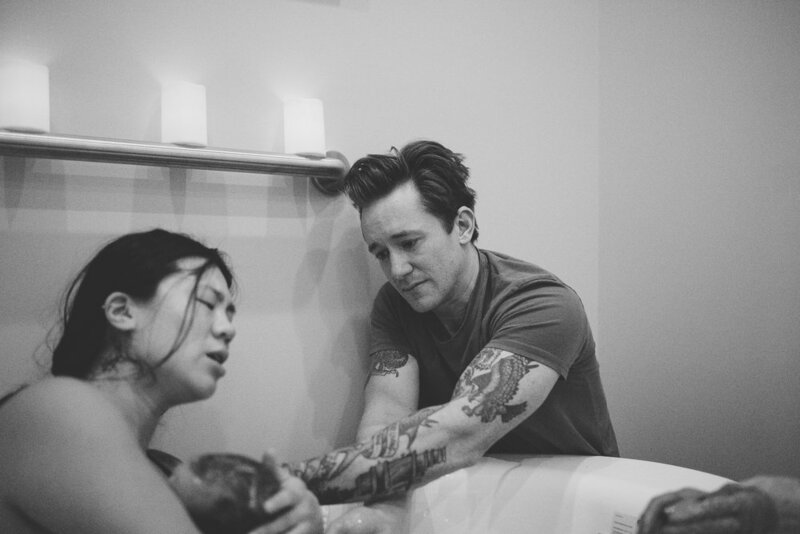 By noon, I was at the birth center with Bethany, her husband, Noah and their doula Forrest. 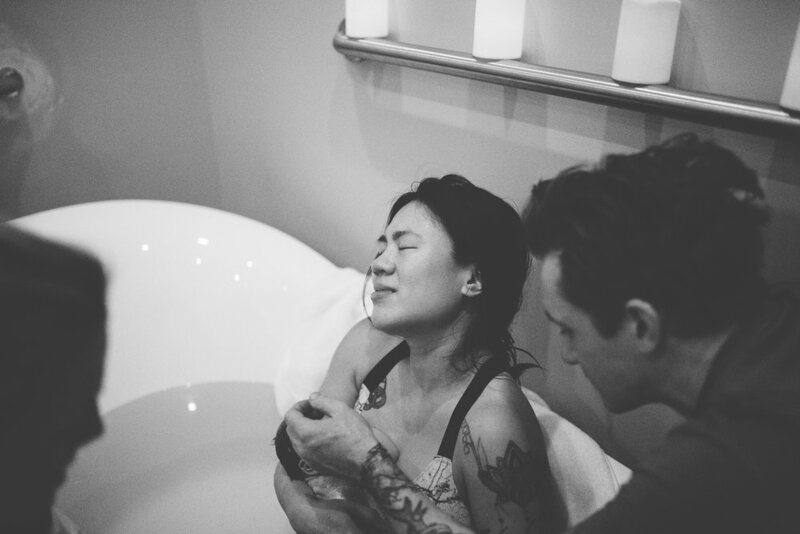 As it goes with many mamas, Bethany’s labor slowed once she got to the center. Forrest worked on getting things going again with sifting, putting oils on her belly and walking the stairs. In a matter of an hour, things went from laughter, eating and joking to supportive hands, a quiet room and deep breathing. Once in transition, Bethany got into the birthing tub. With just a couple pushes, Zadie was birthed in the water. She was caught by her dad and midwife. There were no dry eyes in the room as they all embraced for the first time. Zadie came out wide eyed and ready for the world!